King and Country item NA256 resting on the second tome of Rory Muir’s biography of the Duke of Wellington, with the Union Jack flag in the background. Happy Birthday to the Duke of Wellington, Arthur Wellesley, victor of Waterloo. An extraordinary figure whose unparalleled contribution helped saved Europe and the world from Napoleonic hegemony and tyranny. He would be 247 years old! 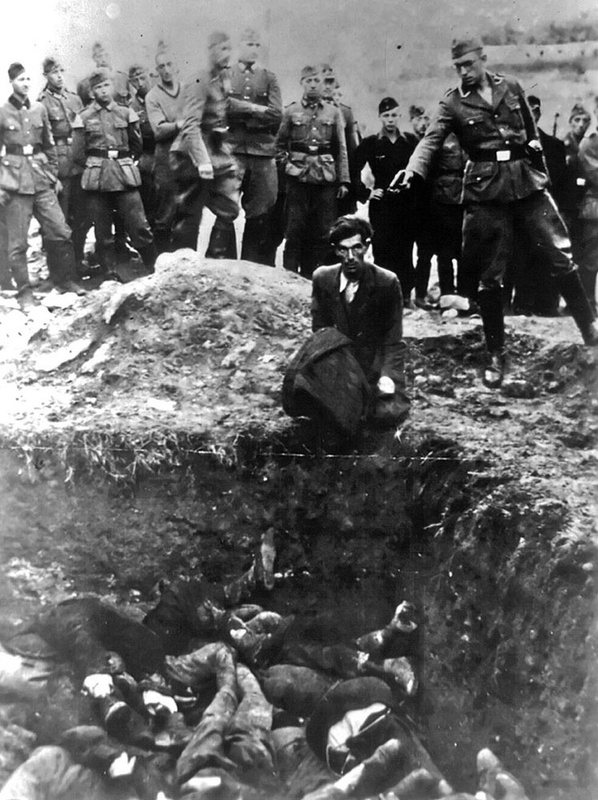 When you talk or read about the Holocaust nowadays, there is a despicable tendency, among many people, including historians, of putting the blame solely on the back of the Nazis. As if they had accomplished their evil business alone. But the truth is different, for they had willing collaborators and executioners. Very revealing, notably in light of the revisionist currents who seek to downplay or deny the role of various local populations in the execution of the Holocaust. 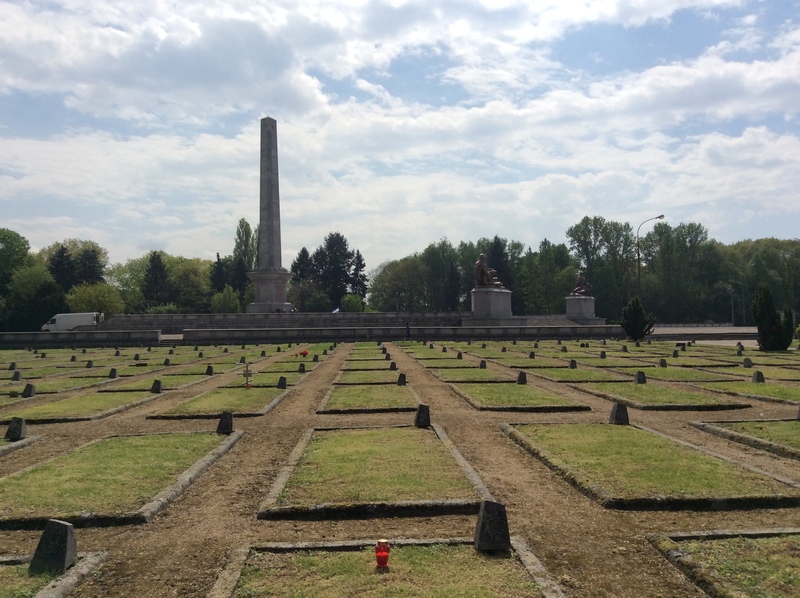 The Soviet War Cemetery in Warsaw, May 2015. There is a sad tendency, these days, to rewrite history for political purposes. In a recent book, French historian Philippe Richardot writes in his introduction: “The deciding factor of World War II is what occurred on the Eastern front” (my translation). And there is ample academic evidence to support this statement. Alas, because of the current geopolitical context, in which many world leaders are opposed to Russian President Vladimir Putin, it is hard for many to resist the temptation to equate this situation with the intention of rewriting history. Fortunately, there are people who are holding these revisionists to account. Take for example this Israeli man who was interviewed by the Russian radio. “Most of the Holocaust survivors were saved by the Red Army. And they are live witnesses up until now. So it never happened in Israel anything like in Europe, nothing undermining the Russian part in the Second World War. Scoring easy political points on the back of a leader you dislike is one thing, distorting history and betraying the memory of those who fell to ensure victory of barbarism and Nazism is another one. And it is unacceptable. The Red Army deserves credit for the 1945 victory and we should never shy away from being grateful. Photo credit: NBC News and Wikimedia. Montage: Pinso. Coming from the man who made sure that Soviet soldiers fired no bullets when the Iron Curtain came down, it is worth heeding the lessons given by Mikhail Gorbachev about the current situation. Without this man and his interlocutor, US President Ronald Reagan, the world might be a much worse place today. We might not agree with everything the former Soviet leader says. And I certainly don’t. 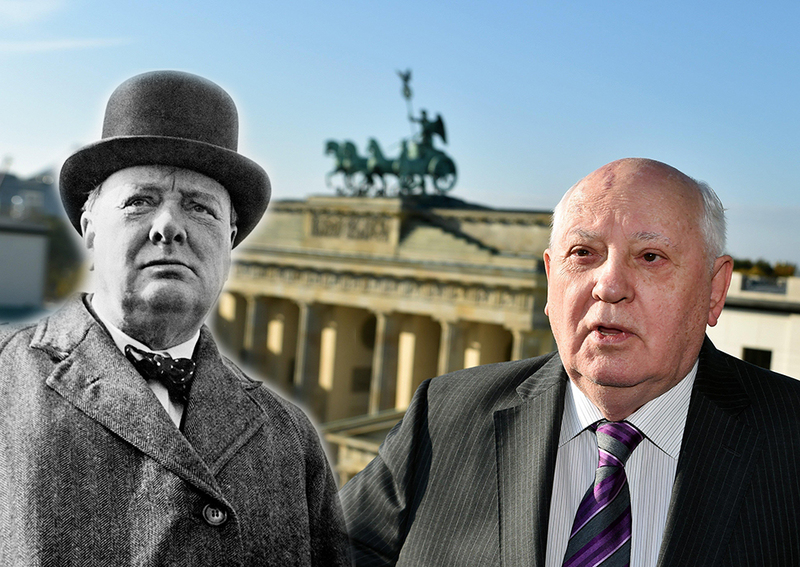 But the more time we will spend listening to people like Gorbachev who were on the brink and who made sure we would not fall into the abyss, the less we will regret we did not.